We are happy to offer you a fully inclusive homestay packages with us in our lovely village of Langol (pronounced Lanagol). We can adapt any of the trips to suit your requirements. 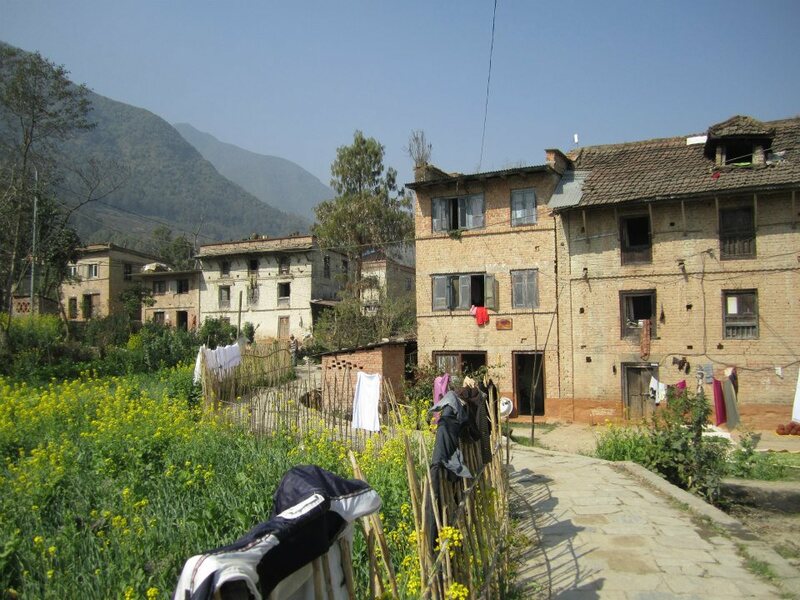 During your time with us you will experience what it is like to stay with a traditional Nepali family but with added western comforts. The itinerary below is flexible and activities may be moved to different days depending on weather, and other factor. The package does not include entry into the UNESCO World Heritage sites, which must be paid by guests. You are free to choose as few or as many options as you wish. Please contact us with any special requirements. Arrive Pick up from your location, or bus, and arrive at Langol, where you will be welcomed by Babu to his home, and take this time to relax with tea and cookies before Belku makes you dinner from her organic garden, and you can ask any questions you need to. Village Tour Start the morning off with a wholesome breakfast of your choice of Porridge, Eggs, Toast, yoghurt, fruit, and tea. After breakfast Babu will take you on a guided tour of the local villages where you will see inside traditional houses, how people live, and cook. The tour winds around the rice fields where you will see the local villagers hard at work, and we will break for cold drinks at a traditional farm workers restaurant. We will then carry on to the village of Taudha and visit a holy lake where we will also stop for lunch. 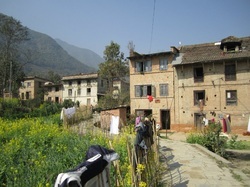 After Lunch we will walk through other villages to a Buddhist monastery and the historical site of Chobar. We will take a relaxing walk back to Langol village where you can relax before dinner. Kathmandu Sightseeing - After breakfast we will take the local bus from Langol (but a taxi can be arranged at extra cost) to the centre of Kathmandu where we will visit three world heritage sites. Swayambu Nath, also known as the monkey temple, which is a Buddhist Stupa, Pasupathi Nath, a hindu temple, and Baudha Nath, a Buddhist temple. The trip will take the whole day, and we will stop for lunch. We will return to Langol late afternoon, where you can relax before dinner. Champa Devi - Located behind Babu's village is Champa Devi, a 2250m hill. After breakfast we will begin the climb up to Champa Devi where you will see remote villages and beautiful scenery, and when we reach the top, you will have amazing views of Kathmandu and if the weather is clear you may be able to see Mount Everest. The trek takes approximately 4 hours to reach the summit, and one and a half hour descent. We will find a ocal restaurant on the way down to have a late lunch. After lunch we will visit a very nice monastery, and return home by local bus, where you can relax before dinner. Bhakatapur - After breakfast, we will take the local bus ( but a taxi can be arranged at extra cost) to the historical ancient Newari Town of Bhakatapur. We will visit the world heritage listed palace and ancient houses, stone and wood carvings, and old Hindu temples. This is a full day trip and we we will have lunch. If there is time we may visit Changu Narayan which is a world heritage site (taxi not included). We will return to Langol, and you can relax before dinner. Patan, Patan Durbar Square, Kathmandu Durbar Square - After breakfast we will take the local bus ( but a taxi can be arranged at extra cost) to the UNESCO world heritage of site of Patan, where you will see historic Hindu temples, and buildings, and after lunch we will visit Durbar Square, the site of the old Royal Palace and Historic temples. The rest of the day is yours to go shopping, and buying trekking equipment etc. We will return home where you can relax on your final night before a special Dhal Bhat dinner prepared by Belku (if you would like to learn to how to cook Dhal Bhat Belku will be happy to teach you). After a leisurely breakfast, a taxi will come to pick you up and drop you at either the airport or bus station. If you are returning to stay at Family Homestay Kathmandu, after your trip/trek, we will be happy to store your bags for you. Please note that additional nights must be paid for on your return and transportation to /from the homestay is not included. We offer good discounts for more than one person sharing a room.